It has been forty-two years since Palestine witnessed the origin of Land Day on March 30th when the Israeli occupation forces seized thousands of dunums from the Palestinian Galilee occupied land. A strike stretching from Al-Mothalath (Arab Triangle) to Al-Naqab in protest against the attempt to empty the area and Judaize it under plans they called: The development of Galilee. The occupation authorities tried to disrupt the mass strike, which led to a clash with the Palestinians and resulted in the death of 6 Palestinians. This led the clashes to spread across the Palestinian territories. 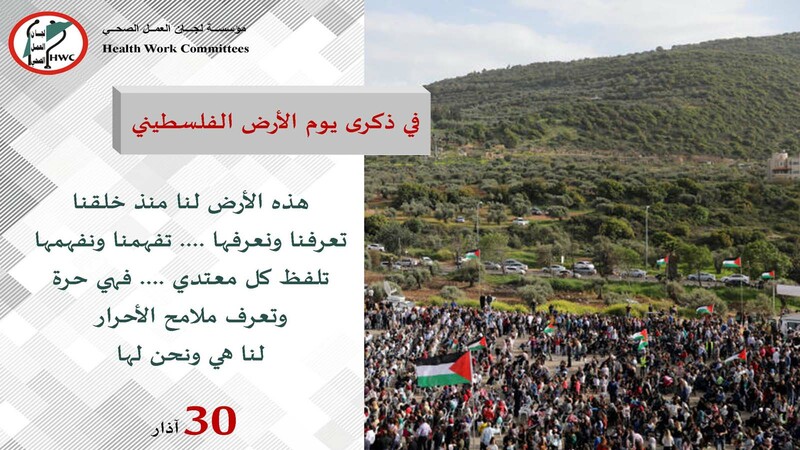 Since that day, Palestinians have been commemorating the 30th of March to emphasize their existence in the Palestinian land and their continuity. Nonetheless, the occupying state continued to target the Palestinian presence through confiscating more lands after seizing 56% of the area of ​​historical Palestine on Nakba Day. Nowadays, Israeli control has reached more than 85% of historic Palestine, and its control over more than 40% of the West Bank territories, in which Palestinians are forbidden to use. d its actions of depriving Palestinian owners of their land as well as abusing and exploiting both Palestinians and their land. These actions are endangering the Palestinian existence in terms of life, economy, health, water, and expansions to meet the population growth. Israel has never stopped confiscation of Palestinian land, but in accordance with its systematic plans to Judaize and change it by establishing settlements , increasing the construction new streets for it , opening more military sites, expansion of the apartheid wall, and the accelerating Judaization of Jerusalem . The extensive siege on the Gaza Strip must be a warning sign especially after reliable international reports that confirm that Gaza will not be suitable for life in the near future. · The Palestinian land is the symbol for existence of the Palestinian people and the proof of its historical existence that has been extended for thousands of years. Therefore, any change on the land of Palestine has no basis. · We renew our rejection of all conspiracies and deals that would deprive the Palestinians collectively or individually of their land or giving it to others. 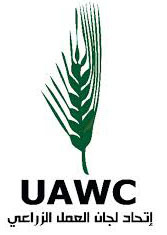 · We call for supporting Palestinian farmers on their land and facilitating their success and their protection from the occupation’s attempts to seize their land to turn into settlements. · We affirm the determination of our people and its various institutions to uphold Jerusalem as the eternal capital of Palestine. We consider the recent declaration by President Donald Trump to be invalid and against international law and all resolutions of the International bill related to Palestine. · We call on the different Palestinian political parties to unite and minimize the escalation that prevailed recently and call on them to join their people to protect the Palestinian land, which is now subject to judaization and confiscation while they are busy with their confrontation. · We give our respect to the martyrs of land day and the martyrs of our people, ouyr prisoners and the injured who sacrificed for the Palestinian land and the Palestinian dream of an independent free state with Jerusalem as its capital.